As cancer treatments advance, more patients are taking anti-cancer medications, including oral chemotherapy, at home. Unlike the traditional IV infusion chemotherapy given in a clinic, oral chemotherapy is a drug taken in tablet, capsule, or liquid form. It has the same benefits and risks as chemotherapy given by infusion. Oral chemotherapy may be easier than taking a trip to the clinic, but the pills are just as strong as intravenous forms of chemotherapy. Whether to take the drug before or after a meal or snack. Whether any other drugs, supplements, or vitamins you are taking may interfere with the anti-cancer drug. Who to call if you have questions. Check with your local pharmacy to find out whether your oral chemotherapy can be filled there, or if it must be ordered by mail. Oral chemotherapy can be costly, so it is also important to find out about insurance coverage. Most oral chemotherapy medicine needs to be stored at room temperature, away from heat or moisture. Avoid storage in a bathroom or near direct light. It must be kept in its original container, away from other medications, and out of the reach of children or pets. Remember to wash your hands thoroughly before and after taking the pills. If a caregiver is handling the pills, he/she should not have bare hands. Instead, the caregiver can empty the pills into a cap or small plastic cup, or he/she can wear latex gloves. Only the patient should come in contact with the drugs. It is also important not to crush, break, or chew your pills. Bring any extra oral chemotherapy pills back to the pharmacy where the prescription was filled. They should not be flushed down the toilet, poured into the sink, or thrown away in the trash. 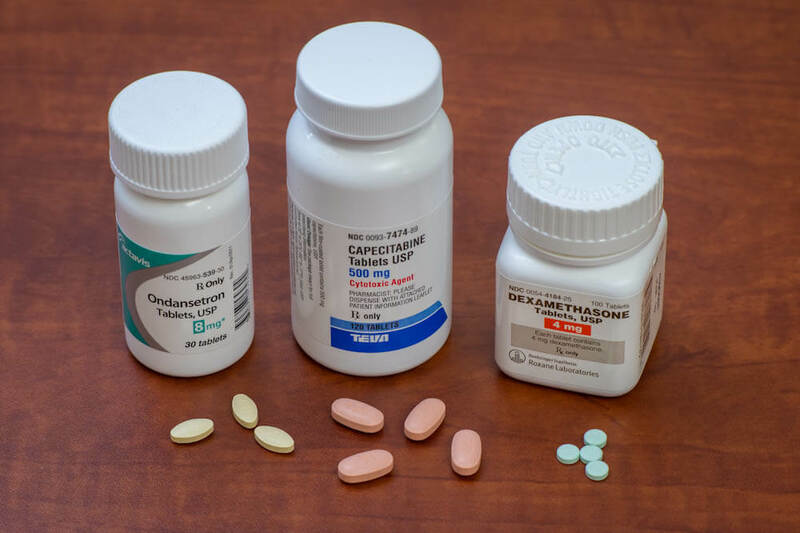 It’s important to be consistent with oral chemotherapy treatments; the drugs should be taken at the same time of day and under the same circumstances. You can try programming reminders on your phone or keeping a diary that records the time, date, and any side effects you feel. Watch this video for more tips on remembering to take oral chemotherapy. Stay in close contact with your cancer care team throughout your oral chemotherapy treatment. Keep phone numbers for doctors or nurses, as well as drug information, in a prominent place. If you begin to experience any side effects that could be related to your oral chemotherapy medicine, contact your doctor or nurse right away. Early intervention can minimize your symptoms and help you continue to benefit from the treatment. For more information on oral chemotherapy treatment, handling and side effects visit dana-farber.org/oralchemo.